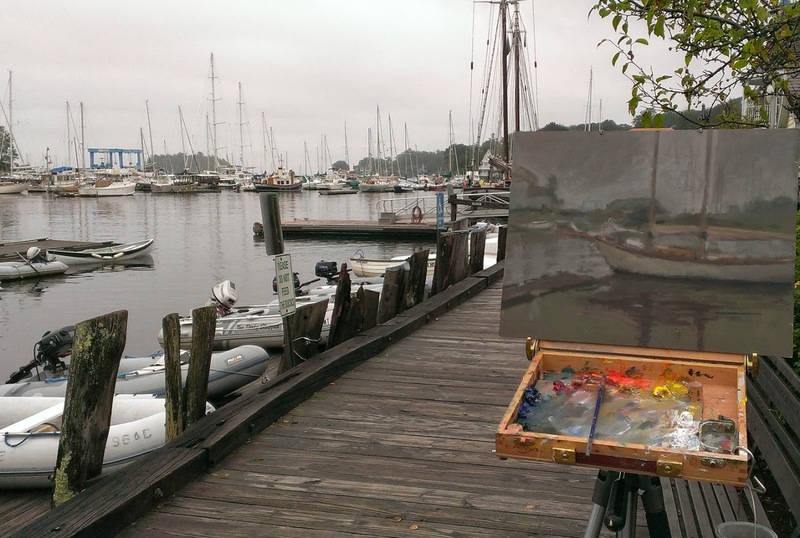 Daily Painting Practice: Daily Painting Practice in Camden, Maine -Boats sail away? Nobody told me. Daily Painting Practice in Camden, Maine -Boats sail away? Nobody told me. The art gods were playing with me. Did you ever go out painting just knowing that something special might happen today? You know that feeling that comes over you as you get that first glimpse of a new area to paint. Something exciting is in the (plein) air. You tell yourself "This is going to be a good day! I think I may paint a winner!" Well, for me, that's how this day, in Camden Maine, started out... however, the art gods had other plans. The previous week, Camden held it's week long plein air paint-out. I unfortunately did not know about it in time to register. 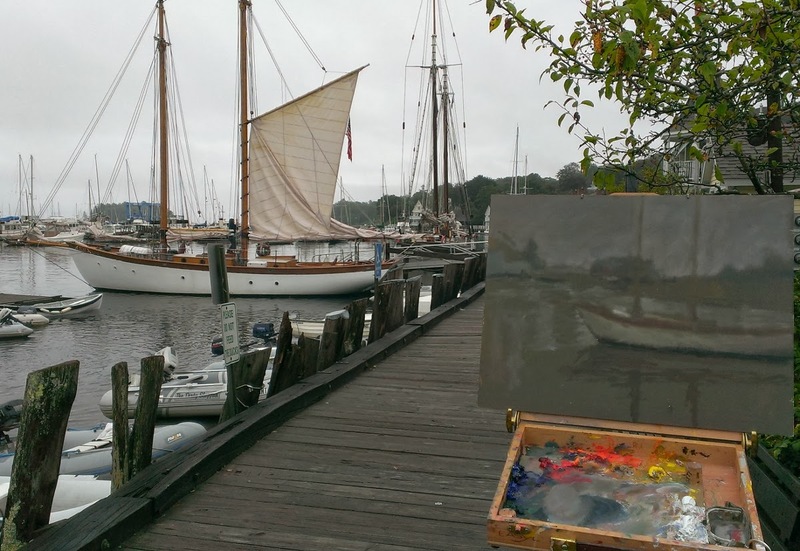 I did my own thing and showed up to paint the harbor as part of the Plein Air Painters of Maine (Northern Chapter) the day after everyone went home. Things looked promising. 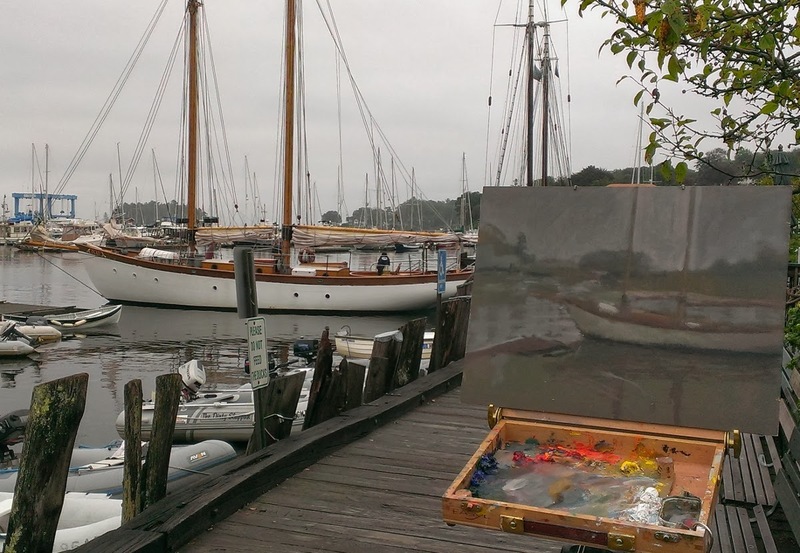 An overcast day meant consistent light, which is good news when painting detailed subjects like boats in a harbor. Ah, drying the sails I thought. That actually might work. I can go with that change. No problem, it was still a beautiful day. 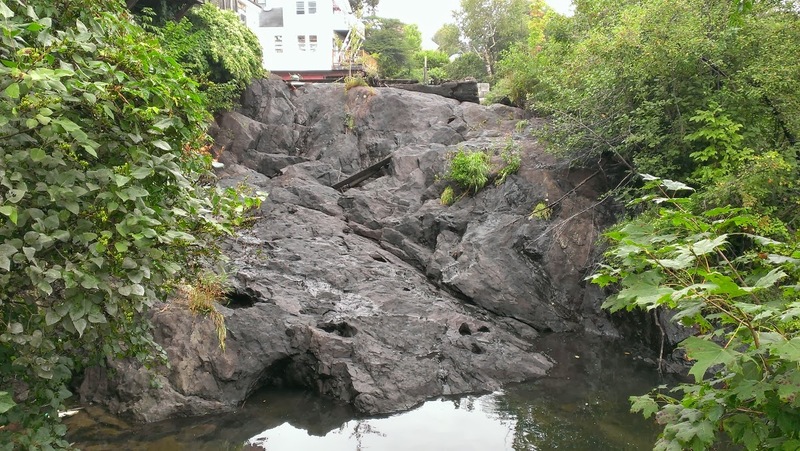 I know, I'll go paint the waterfalls that feed into the harbor. 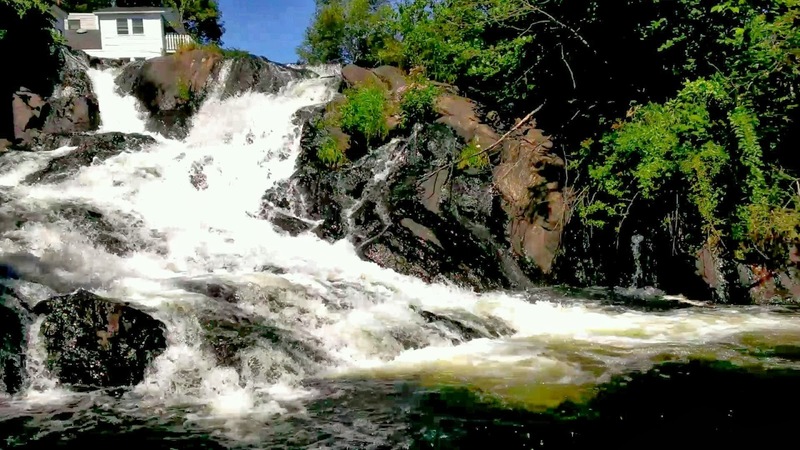 We had an abundance of rain the previous week so here's what I expected them to look like. My day was ( pardon the pun), a complete washout. I gave it one more shot down at the harbor. I went out on the docks and did one last color study, then called it a day. 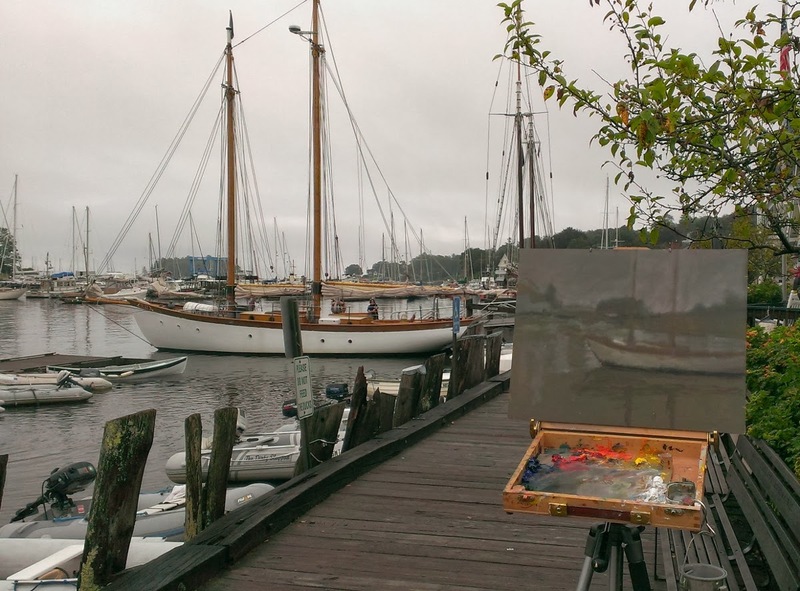 There was nothing plain about this plein air day. Haha! This story reminds me of the time I was painting a row of small boats that were tied to a floating dock I was standing on in , and fishermen kept coming and taking one or another of the little boats. The remaining boats would just rearrange themselves to fill the gaps.